It’s so hard to believe, but it’s already one month since our Camino family arrived in Santiago. At that time, I think the magnitude of what we’d done was only just starting to sink in – I do remember wanting to blurt out to some of the day trippers crowding the streets of Santiago “HEY, I WALKED HERE FROM FRANCE”. It was such a great feeling to be fit and relaxed and happy after our month on the road. 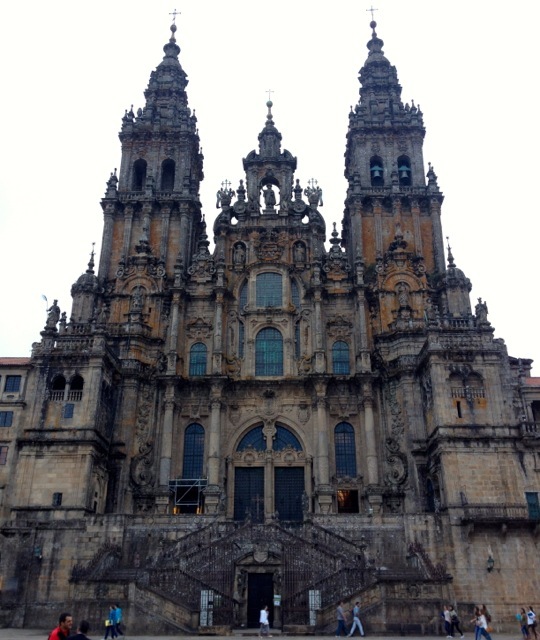 A pretty spectacular finish line in Santiago de Compostela. And now I’m back at home and it’s been really lovely to catch up with my family and friends and tell them a bit about our great adventure. I have found it a bit tricky to explain though – it really is one of those ‘you just had to be there’ kind of situations. And the return to the pace of ‘the real world’ has been a challenge for me – every day, it seems there are so many different decisions to be made, timetables to follow, commitments to meet, things to do. I miss the simplicity of just getting up when the alarm goes off, getting dressed in one of only two available options, packing up everything I have and walking, walking, walking. I haven’t forgotten about the heat, the bites, the flies, the tendinitis, the shower without a door – but even at the time, all of those things just felt like part of the Camino experience. And an incredible experience it was too (captured in the following YouTube clip by our resident rapper, Idol C). So now I am home and I feel a bit restless. My work situation as a consultant means that I didn’t have to rush back to an office or a workplace routine – I think that is both a blessing and a curse though, as it means that I have had a lot of time to think and try and work out what to do next. And I feel like I should do something BIG after doing the Camino, as I try to hold on to the things that I learned about myself and the world when I was walking. But I am not entirely sure what that is yet. And I am reminded of when I first moved home after living overseas for a couple of years – it felt like everything here was pretty much the same, but I felt soooo different (not in a lah-di-dah, I-am-so-awesome kind of way) and there was definitely a transition period to work out how to fit back in to everything. Maybe it’s like a snow globe – things are settled and look a certain way, then when the globe gets a shake, everything turns upside down and gets covered in large white flakes – or preferably glitter – before it settles again. 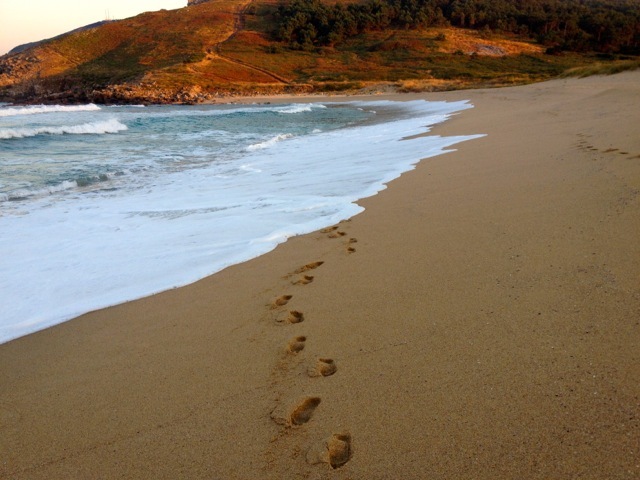 Stepping out at the end of the earth – morning walk on the beach in Finisterre. So, after the Camino-shake, I am sort of upside down and covered in large white flakes (metaphorically, not from another Camino skin condition, I assure you). I am more active, walking a lot and even completing my first timed 5k run last Saturday (more on that in another post) and trying not to get sucked back in to the rush of doing all of the things. I watch less TV and I do less shopping – after carrying every single thing I required in a bag on my back for a month, I definitely have a different perception of how much stuff I really need. 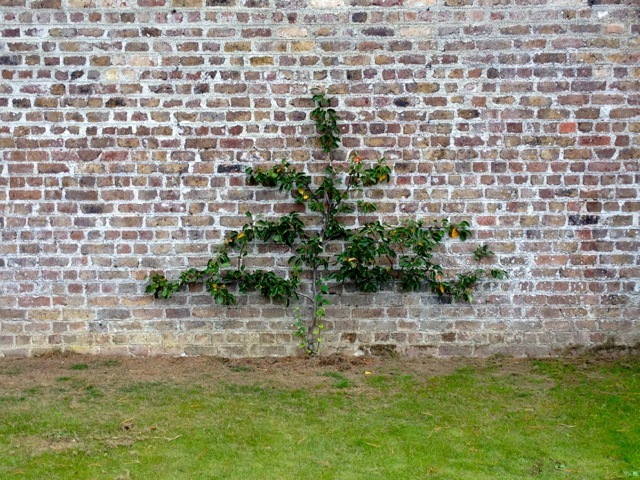 In the Phoenix Park kitchen garden, Dublin. But I don’t want to make it sound as though I’m now all woo-woo-woo herbal and alternative and changing my name to Starchild – I am not a totally different person and am sure that most people don’t notice any change at all. Maybe the snow globe has just settled in a slightly different way this time. And I am sure there are countless scientific studies that agree it’s a good thing to have your snow globe shaken every now and again, just to see what happens. They seem to get blamed for a lot recently… especially the intake of chocolate!! 1. ‘Starchild’ is extremely close to ‘Sparks’. Well, I think it is. III. And, so is a little bit of chocolate. Or, a lot. Great blog, and love the YouTube clip. I’m hearing ya on the snow globe front! If you come out West Snow Globe, I promise we will stir you up again? It was good to read the joy amid the confusion and uncertainty of life after………so much to just stay with and unwrap and own. Wow!…… Interested in where the “glitter” appeared from….waiting for the first chapter…….